Refreshing. Old Fashioned. Sweet. If these three words describe your perfect wedding day, plan a friendly celebration where you offer guests an icy, cold glass of lemonade upon arrival. And while this darling idea is at first glance “girl-next-door”, you will have plenty of opportunity to go bold with the lip-smacking hues of pink and yellow. This bouquet was created by me (a regular DIY-er and surely not a professional florist!) 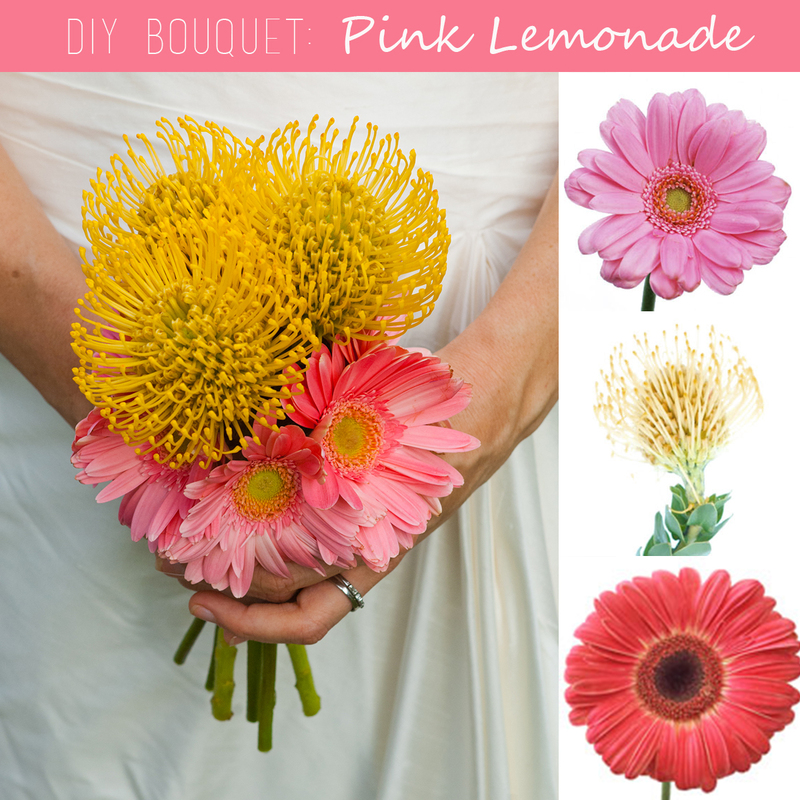 using 3 stems of yellow protea and 6 stems of gerberas.